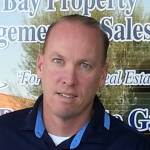 Looking for Tim Kelley South Bay Property Management Reviews, Testimonials and Ratings? My husband and I hired S.B.P.M. last year after dealing with a difficult tenant that ended in an eviction and property damage. This company got our house put together quickly while walking us through estimates and we now have a renter that pays in a timely manner without constant reminders! This company knows the market so you’ll get the right value for your house, too! It’s a relief knowing our investment is being handled now and this takes the personal/tenant/owner relationship out of the equation. Best decision we made for our home that was once our own. Trustworthy and dependable property management company in the South Bay. Personal attention and very reasonable rates. Great dealing with problem tenants or late-payers. I had Tim Kelley list my property in Torrance last year and he was very knowledgeable. From pointing out physical things about the property to suggestions on what needs to be done to increase the value for a quicker sale. I like his strategy on showing the property to buyers. It was fantastic. Our property sold within one week with a smooth 35 day escrow. So far South Bay Property Management is doing a great job. They seem to rent out the units much faster than the other company we had. They manage our 14 unit in Gardena and our 4 unit in Redondo Beach. I like the no nonsense approach. South Bay Property Mgmt has rented my properties fast, well rented, and saved me about 6K on a slab leak job. Thank you for checking out Tim Kelley South Bay Property Management & Real Estate Group Reviews. If you would like us to assist you in managing your residential or commercial property, please contact us here!